Dr Daniel Velinsky DMD would like to announce that he traveled to Fort Washington PA to participate in the first computer guided surgical placement of a Zygomatic dental implant done in the United States. This cutting edge procedure was performed by Dr Tom Balshi of Fort Washington, Pa and Dr Chantal Malevez of Brussels, Belgium. The procedure consists of constructing a surgical template via rapid prototyping and cad-cam procedures from a 3 dimensional computer model generated from a specialized CT scan of the head. This specialized surgery will allow patients who previously were not able to wear implant supported teeth, due to lack of supportive bone, to do so without multiple bone enhancing surgeries, which sometimes included grafting bone from the patients hip. The nature of this revolutionary procedure also reduces healing and discomfort post surgically, due to the fact that no incisions are made. The procedure should be available in the coming months. Placement of Zygomatic implants has been a standard surgical procedure in the US with a very predicable outcome, though with a longer healing time. The present computer software is being developed by the worlds leader in dental implants, Nobel Biocare, and is awaiting final release in the US. 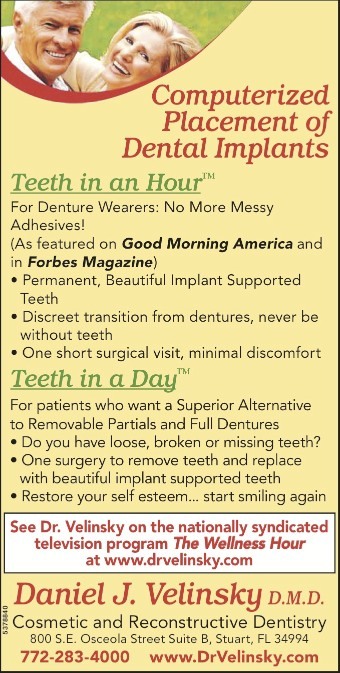 This procedure will be a boon to those people who presently wear dentures and have been told they were not candidates for implant supported teeth without extensive surgical grafting procedures to supplement lost bone.